Coach Teresa LeYung-Ryan here, at Rose Garden Inn in Berkeley CA, with Carla Danziger (author of Hidden Falls) who is in the San Francisco Bay Area getting ready for her appearance at the annual Norway Day celebration of Norwegian Culture at Festival Pavilion, Fort Mason Center, San Francisco on the weekend of May 5 and 6, 2012. 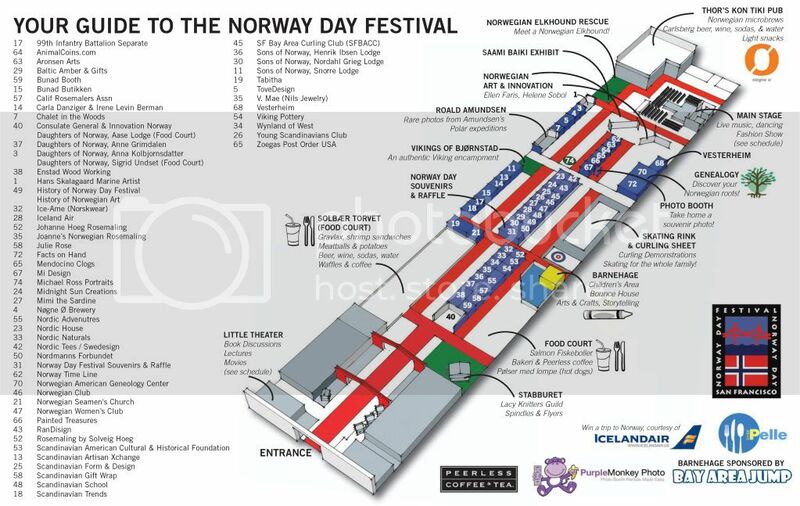 Go to http://norwayday.org for details. Velkommen! On both days, authors Carla Danziger, Irene Levin Berman, Astrid Karlsen Scott, and Julie K. Rose. In The Little Theater, Festival Pavilion, Fort Mason Center, San Francisco. 11:15am — 12:15pm a Special Program, ‘Norway and the Holocaust: The Untold Story,’ a talk by author Irene Levin Berman, sponsored by the Norwegian Consulate, San Francisco. And 1:30 – 2:30pm (also in The Little Theater, left when you’ve gone through Festival Pavilion entrance ) Three Books, Three Authors–Astrid Karlsen Scott, Julie Rose, and Carla Danziger! Also, Irene Levin Berman and Carla Danziger will be at Booth #14 (far left wall from Festival Pavilion entrance, pass Little Theater, pass food court). Watch Author View’s interview on Carla Danziger posted on YouTube. See you at Norway Day celebrations May 5 and 6, 2012! Coach Teresa LeYung-Ryan encourages you to wear your many hats as a writer — work on the craft and your platform at the same time. Pursue more and more resources . . . by visiting my website and this blog on a regular basis. If you are not in the vicinity of the events I blog about . . . please look at the names of the people who are referenced in my posts, go to their websites by clicking on the links I provide or your keying their names in a search engine. The people I blog about will lead you to their colleagues, and so on. More ways to build your platform? See the exercises in Build Your Writer’s Platform & Fanbase In 22 Days. I can help you polish your manuscript (identify themes, universal archetypes, front-story & back-story) AND coach you on platform-building – click here.